The San Diego Foundation offices in Liberty Station. The San Diego Foundation and local philanthropist Guy Clum announced a $13.8 million gift to strengthen early childhood education opportunities in the San Diego region. The multi-year initiative includes $3.8 million in initial grant awards and will expand educational equity and opportunity by giving local children and families greater access to early childhood care and development programs. According to a 2014 study by Lucile Packard Foundation for Children’s Health, more than 38 percent of San Diego children aged 3-5 are not enrolled in preschool or kindergarten and 9,600 children are on a wait list for subsidized care. 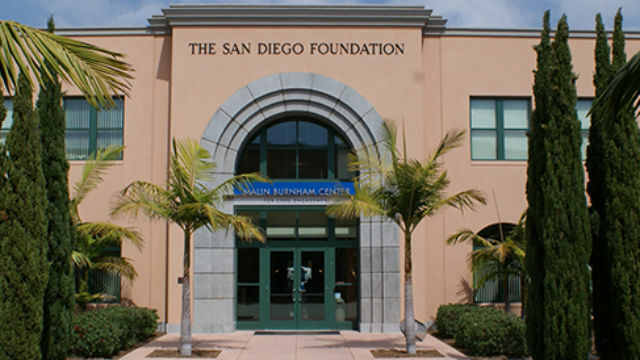 The grants from the Guy C. Clum Fund at The San Diego Foundation will initially support programs at four local nonprofit organizations: SAY San Diego, South Bay Community Services’ Mi Escuelita Therapeutic Preschool, Educational Enrichment Systems and the San Diego Workforce Partnership. The San Diego Foundation has facilitated more than $1 billion in charitable grants over the past 40 years.